At the Monterey Plaza Hotel, we cherish the art of a fine meal, as anyone who has ever dined at our acclaimed on-site restaurant, Schooners Coastal Kitchen & Bar, can attest. This month, our top-notch culinary crew is abuzz with news of the upcoming Pebble Beach Food and Wine extravaganza, a massive four-day festival scheduled for April 11 – 14. Now in its 12th year, Pebble Beach Food & Wine brings together 100 celebrity chefs, representatives from 250 outstanding wineries, and other epicureans both amateur and professional to indulge in the pleasures of the palate. Festivities commence on Thursday evening with a reception at the Inn at Spanish Bay, where guests will savor the creations of 23 of the weekend’s finest chefs and sample from among 200 different vintages. The rest of the weekend will be filled with decadent lunches and dinners, wine tastings, cooking demonstrations, and more. For complete event and ticketing information, see the official Pebble Beach Food and Wine website here. When most folks hear “California wines,” they immediately think of Napa Valley and Sonoma, but did you know that Monterey County is also ranked as a Region I and II grape producer, putting it in the same class as Sonoma and Napa, as well as Bordeaux and Burgundy? More than two centuries ago, a group of Franciscan friars cultivated the first batch of wine grapes here in Monterey County. Today, Monterey Wine Country has blossomed into over 40,000 acres of top-tier vineyards yielding a characteristically powerful flavor that translates into some of the finest wines in the world. 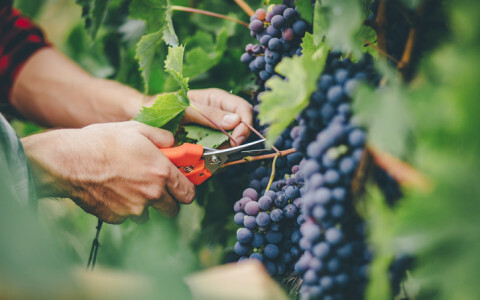 The relatively warm southern part of the county tends to produce grapes for Merlot, Zinfandel, and especially Cabernet Sauvignon. In the cooler north, you’ll find Riesling, Pinot Blanc, Pinot Noir, and (the most prolific of all, comprising 40% of the county’s grape yield) Chardonnay. If you’d like to sample the delicious fruits of Monterey’s wine labors yourself, you’re in luck, as there are many premium tasting rooms right here on Cannery Row, including Carmel Ridge, Bargetto Winery, Pierce Ranch Vineyards, and more. Located less than five minutes by car from our hotel, Old Fisherman’s Wharf is one of the most compelling historic strips in the city. The wharf was originally constructed in 1870 by the Pacific Coast Steamship Company to aid in the transport of goods and passengers. 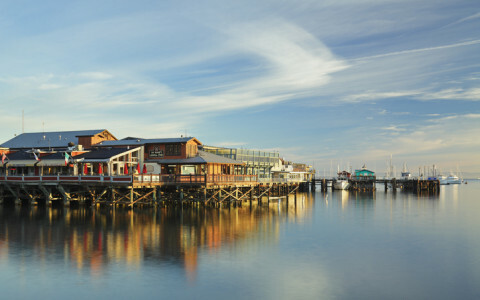 As the fishing industry dwindled in the mid-20th century, tourism gradually became the focus of Old Fisherman’s Wharf. If you’re an early riser, we highly recommend a drive (or perhaps even a walk) down to the wharf to watch the sun peer over the horizon to greet the fishing boats setting out on a new day. In addition to the wide variety of seafood restaurants that line the wharf, you’ll also find art galleries, jewelry stores, specialty candy shops, and other vendors selling all sorts of souvenirs. Visit Custom House Plaza, site of California’s very first government building and of the Monterey Maritime Museum. As you start to tire from your explorations, we know it might be tempting to lie down and sun yourself alongside the sea lions, but we recommend against it. Rest assured that you’ll rest even better back at your luxurious Monterey Plaza accommodations. January is the time for New Year’s resolutions, which means that millions of people across the country are hitting the gym for the first time. If you’ve stayed with us recently, you know our top-of-the-line fitness center provides not only some of the best cardio and strength training equipment on the market, but also a sublime view of Monterey Bay, which means our guests have excellent indoor exercise options. But what about outdoors? If you’re a fan of hiking, we recommend a trip to Jacks Peak County Park. Located less than 20 minutes by car from our hotel, this popular 525-acre park offers several trails of varying difficulty, winding around the park and up to Jacks Peak, the highest summit on the Monterey Peninsula. Guests who visit during the warmer months can also take advantage of the park’s ample picnic areas, where you can enjoy a meal amid one of the last remaining stands of majestic Monterey Pines. The sea otter. The smallest marine mammal in North America, the sea otter differs from other underwater mammals in that it doesn’t sport a thick layer of blubber for warmth. Instead, its body is covered in extraordinarily dense fur, with over one million hairs per square inch (versus about 100,000 on the average human head). The white shark. The ocean’s largest predatory fish, the white shark has remained virtually unchanged by evolution for the last 11 million years. When you realize that the biggest threat to these fierce predators isn’t a sea creature at all, but instead, humans, you start to see why marine sanctuaries are so vital to the health of the ocean. Harbor Seal. 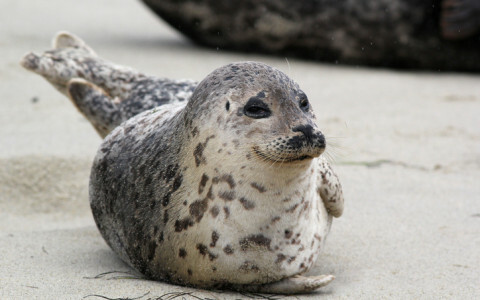 The playful harbor seal is as clumsy and awkward on land as it is graceful and swift in the water. If you keep your eyes peeled, you might catch one “bottling,” that is, sleeping almost submerged, with just the tip of the nose held above water for air. Blue Whale. The majestic blue whale is the most massive animal in the sea or on the land. Blue whales can grow up to 100 feet long and can weigh up to 150 tons (roughly equivalent to 30 elephants). Giant Pacific Octopus. On average, the giant Pacific octopus grows to about 33 pounds with an arm span of around 14 feet (the record is 600 pounds and 30 feet). These exceptionally intelligent creatures use stealth, speed, and trickery to catch mussels, clams, and crabs for their sustenance. The Monterey Plaza Fitness Center - Hate working out indoors? You’ve never experienced our state-of-the-art fitness center. Not only do we maintain an array of the latest cardio and strength training equipment. We do it on the penthouse level of our hotel, so you’ll enjoy breathtaking panoramic views of Monterey Bay while you exercise, bringing you all the stimulation of the gorgeous natural landscape paired with all the comfort and convenience of a top-notch indoor facility. Heart-Healthy Hiking - Okay, so maybe you do love the fitness center, but you also love the great outdoors. And who wouldn’t with so many outstanding locations for hiking, including Toro Park, Jacks Peak County Park, Point Lobos State Reserve, and more? When you arrive at the Monterey Plaza, let your concierge know the details of your ideal hiking adventure, and we’ll let you know the perfect spot. Outdoor Water Sports - Monterey is famous for its world-class golf courses. But we’re also blessed with fantastic aquatic sports options, including paddleboarding, kayaking, and surfing. For a great day out on the water, try Monterey Bay Kayaks or Pacific Grove’s Adventures by the Sea. If you’ll be staying with us during the last week of October, get ready for some adrenaline-pumping Halloween fun at the annual Zombie Prom. Just 10 minutes by car from our hotel, this rocking outdoor dance party in Pacific Grove stretches from 5 – 9 P.M. as live, local bands entertain droves of residents and visitors decked out in their scariest, most outrageous costumes. Perfect for teens and adults, this is one pre-Halloween party you don’t want to miss. If you’re looking for something to entertain the kids on Halloween itself, check out the annual Halloween Bonanza from 6 – 9 P.M. at the Oldemeyer Center in the City of Seaside. This fall favorite for families with kids 10 and under includes candy, games, a photo booth, a costume contest, and a haunted house. What’s in a Name? - Monterey was founded 416 years ago. In the year 2002, the 400th-anniversary celebrations paid special tribute to Sebastián Vizcaíno, the Spanish merchant who discovered Monterey Peninsula and subsequently named it in honor of Count Monte Rey, viceroy of New Spain. Tee Time - Golf enthusiasts from across the world regularly visit Monterey to enjoy the many superlative courses. Our favorites include the acclaimed Pebble Beach, Poppy Hills, and Spyglass. From Farm to Table - With an agricultural industry that rakes in some 8 billion dollars each year, Monterey truly lives up to its moniker as “Salad Bowl of the Nation.” You’ll have no trouble finding fresh, organic farm to table fare in our fair city. A Little Wine for Thy Stomach’s Sake - In 1960, a report published at the University of California at Davis declared Monterey County a Region I and Region II wine producer. Since then, our vintages have been widely recognized as comparable in quality to the best out of Bordeaux, Burgundy, Napa, and Sonoma. Originally conceived by its namesake and the first mayor of Monterey, Walter Colton, Colton Hall has served as a public school, sheriff’s office, courthouse, and police headquarters. It was also the site of California’s very first constitutional convention in 1849. Visit the museum on the second floor for a peek into the storied history of this great city. Erected in 1794, this is the oldest stone building, not to mention the oldest continuously functional parish, in the entire state. Wandering the grounds alone would be magical enough, but for an added historical thrill, check out one of the daily guided tours led by the friendly and informative staff. Located a bit outside the city, this stunning structure is well worth the short trip over to Carmel-by-the-Sea. Constructed in 1797, no other Spanish mission in the state has preserved its original bell tower and bell. Today the Carmel Mission serves not only as a parish but also as a school and museum. Monterey’s 4th of July celebrations reach far and wide to every part of the oceanside county. Whether you’re retreating inland or heading straight for the water, we’ve rounded up where to enjoy the lively festivities and celebrate our country’s birth. Don your favorite red, white, and blue attire and get ready for some incredible fireworks. Carmel-By-The-Sea: Take to Devendorf Park with your picnic gear for a complete afternoon of food, games, and live music. Monterey: Catch the official 4th of July parade as they march down Alvarado at 10 a.m. Afterward, you can keep the celebration going at the annual lawn party with tasty BBQ, carnival games, and art vendors. Seaside: Wrap up the evening with Seaside’s very first firework’s celebration at the Bayonet Black Horse Golf Course. Enjoy the activities beforehand and get the perfect spot for fireworks at 9:30 p.m.! There’s always something going on in Monterey. Whether it’s wine, beer or cheese, we love celebrating our favorite food and drinks with fun weekend festivals. But artichoke fans? This is an event all for you. June 2 – 3, the Castroville Artichoke Festival returns for its 59th year at the Monterey County Fair & Event Center. This often overshadowed vegetable takes the main stage for a weekend of great food, entertainment, and vendors. Guests can enjoy live music, arts and crafts and field contests in between munching on their favorite green. The event is putting restaurants and chefs to the test to make dishes highlighting artichokes, while also giving visitors insight into the harvesting and preparation by regional farmers. And with exciting contests like the Artichoke Eating Contest and cooking demonstrations, this is one event that educates, entertains and satisfies those cravings all in one! When in California, take full advantage of the bright sunshine any chance you get. Here in Monterey that can come by way of hiking, hitting up tourist attractions, or our favorite: shopping. In nearby Carmel, spend an afternoon visiting The Barnyard shopping village. This outdoor village is so much more than a shopping mall with cozy fireplaces, colorful mosaics, and a country-feel with flower-laden pathways. Peruse upscale clothing boutiques, home furnishings, jewelry, and gift stores to take the California lifestyle with you even after your vacation ends. The cascading levels and peaceful courtyards make for a retail experience that feels like a secret garden in the midst of a bustling city. And in between all that trend-hunting, stay full with both casual and fine dining options that feature local and regional-crafted menus. The Barnyard is open Monday-Saturday 10 a.m. – 6 p.m. and Sunday 11 a.m. – 5p .m. Restaurant hours vary. 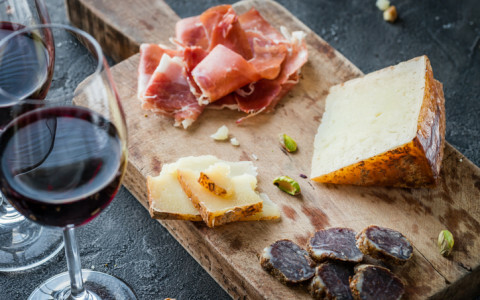 Foodies and wine-lovers, this is an affair made just for you! The popular Pebble Beach Food and Wine event is back with another four-day festival with flavorful tastings, demos, and panels for you and your go-to food and wine fans. With over 75 celebrity chefs and 250+ participating wineries, this event is a luxurious coming together of pros, beginners, and anyone simply looking for an outstanding glass of wine. The weekend will begin with an opening night reception at the famous and intimate Inn at Spanish Bay, where guests can sample refined wines and bites from the region’s best. Throughout the weekend, guests can expect lunches, cooking demonstrations, wine seminars, and more. Looking for tips and tricks of the trade? You may get an opportunity to ask those culinary q’s to your favorite chefs and sommeliers. All set with the stunning backdrop of coastal California, what else could you ask for? While Napa may take the spotlight as California’s hot wine spot, Monterey has so much to offer for wine lovers. Recognized as one of 2013’s “Top Ten Wine Travel Destinations” by Wine Enthusiast Magazine, Monterey is one of the largest wine production regions in California. Take advantage of our expertise to enjoy an afternoon finding your perfect bottle and enjoying the intimacy of one of our 60 tasting rooms throughout Monterey County. Venture to Carmel Valley, Carmel-by-the-Sea, and Salinas Valley for behind-the-scenes tours of the wineries and endless opportunities to sample refined selections of California’s best. Prefer to stay close to home? You can taste the refreshing flavors right here on Cannery Row. Bargetto Winery, Carmel Ridge, and Pierce Ranch Vineyards all claim prime tasting rooms right along the row. So whether you prefer white or red, tasting room or vineyard, Monterey is here to make your wine experience truly special. A trip to our breathtaking Monterey would not be complete without a visit to the historic Old Fisherman’s Wharf. Experience life on the coast with a walk down the Wharf’s bustling block of one-of-a-kind shops and seafood restaurants—the chowder is a must-eat! If you look out towards the water, you may be able to spot some whales, fishing, and sailing. Is the water calling your name? Get out there yourself with one of the Bay Cruises to breathe in the fresh ocean air and experience Monterey from a whole new perspective. Calling all early birds, visit the wharf at sunrise for a truly local experience. Watch as the fishing boats and charters load, unload, and sail out to sea for a crisp, unique morning you’ll never forget. The sights, sounds, and smells of the wharf have captured the heart of Monterey for years, we can’t wait to hear what memories you’ve taken with you. Start your New Year’s resolutions on the right foot with a day hike at Jacks Peak County Park. The park offers numerous trails that will lead you to stunning views of Monterey Bay and Carmel Valley, and will take your breath away only by its beauty. These trails allow you to get a good exercise in, but vary in difficulty and have parking lots close to the top of each peak, just in case you’re more interested in the destination than the journey. Start your hike early in the cool, crisp morning air, and take advantage of the picnic spots available in the valley. What makes Jacks Peak so special is that they’re home to fossils from the Miocene epoch, and one of the only remaining natural stands of Monterey Pine trees in the United States. A day spent with nature is a day of self-reflection, appreciation, and wonder—Jacks Peak promises all that and more. When choosing your winter vacation, we know you have a series of sophisticated decisions to make. It’s important to take into account the location, temperature, and amenities of your future getaway. Monterey Plaza Hotel and Spa is ranked the #1 hotel in Monterey by TripAdvisor. We are a self-sufficient destination that provides an enriching, relaxing, and culinary-infused trip without ever having to leave the hotel. Although the surrounding areas are some of the most magnificent in California, our hotel has a long list of services and luxuries suited to rejuvenate and regenerate. Whether you are traveling with loved ones or alone, there is something for everyone. When selecting where to celebrate the holidays, don’t pick a snow-laden town, head towards the shore and pamper yourself with stunning vistas, health-conscious menus, and beds so comfortable they'll feel like you're sleeping on a cloud. 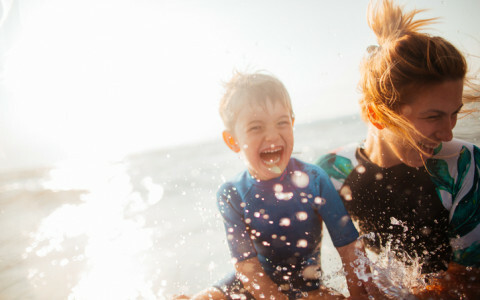 Vacations should be a time of regeneration. Visit Monterey and recharge you batteries before heading home. Monterey County draws a certain type of traveler, one that loves beauty, nature, and health. While enjoying your vacation, fit these health-forward activities into your busy schedules for a balanced holiday under the Californian sun. Sweat It Out In Our Fitness Center - Let the Monterey Bay be your backdrop as you engage in heart-elevating activities. We suggest a combination of weight training, cardiovascular exercises, and gentle stretching. Our state-of-the art fitness center offers every equipment to meet your needs. Take A Breathtaking Hike - Choose from Toro Park, Jacks Peak County Park, Point Lobos State Reserve, and many more, for a calorie burning session with a view. Engage in Outdoor Sports - Everyone knowns that Monterey is known for our world-famous golf courses, however there are other great ways to break a sweat. Grab a complimentary bike from next door, or challenge yourself by renting paddle boards and kayaks for a day on the waves. Staying fit while vacationing is easy when you have stunning weather, sloping mountains, and a beautiful coastline to keep you going. Candy apples, spiked cider, and pumpkin cupcakes are a couple of treats that come to mind when thinking about Halloween. When choosing your next holiday activity, consider these local events that are guaranteed to ignite your festive spirit. If you feel like going on an adventure, head south to the Big Sur for an incredible haunted ghost tour of an already stunning destination. Enjoy a picture-perfect sunset over the Pacific Ocean while listening to historic ghost stories and more. The tour includes deserts and beverages. Children under 6 are not admitted. Tickets costs $90. Carmel-by-the-Sea is celebrating their 101st anniversary with a Halloween parade to remember. Sunset Center is hosting the after-party that will include hot dogs and birthday cake. A fantastic way to spend your Saturday morning. Join Monterey Bay Aquarium’s members-only party, for a night of dancing, trick-or-treating, and spooky fun times. Put on your most ghoulish costumes and join the locals in the monster mash or a ghostly version of the twist. Membership opportunities can be found here. Monterey is known as one of the most beautiful coastal cities in California, however, there is more than meets the eye. Explore its rich history with a series of fun facts you may not know. Let’s take a journey together and get to know the behind-the-scenes of this charming seaside town. In 2002, Monterey celebrated it’s 400th year anniversary, highlighting the day the Spanish merchant Sebastián Vizcaíno discovered Monterey Peninsula and named it after the viceroy of New Spain, Count de Monte Rey in 1602. In 1960, the University of CA at Davis, labeled Monterey County as Region I and Region II, which is comparable to the above mentioned wine areas making us a hearty competitor and a great purveyor of wines. There are approximately 26 public and private courses and we have some of the highest rankings in the nation, including our stars Pebble Beach, Spyglass, and Poppy Hills. We know how to do farm to table and it shows. Nicknamed, the “Salad Bowl of the Nation,” select from a luscious variety of fruits and vegetables grown in Salinas Valley. Our total agriculture contribution is $8.2 billion. We are Ranked #8 among luxury hotels in Monterey by U.S. News & World Report and take pride in the seamless elegance we provide for our patrons. Make your reservations here and see yourself, (877) 862-7552. Your first stop should be this stunning and charming cathedral. Let history do the talking at the oldest stone building, completed in 1794. The church is still a working parish, and we suggest the docent led tours that are available daily in the adjacent building, for a historical day. Head to Colton Hall, built by Walter Colton, the first American Mayor of Monterey, in 1849. It was the largest public building to serve as Monterey’s first school and government center. The shape and size of California was decided amongst those walls during the Constitutional Convention of 1849. Venture a little outside of Monterey to see the Mission San Carlos Borromeo del Rio Carmelo. A beautiful sanctuary and chapel dedicated Padre Serra, president of the Franciscans in California in the late 1700’s. Today the Mission is still an active school, parish, and museum. Monterey Plaza Hotel is located on historic Cannery Row. Spend the day exploring our charming and eclectic neighborhood. With over 85 boutiques, 25 delicious restaurants, and a fine selection of prestigious contemporary art galleries, their is something for everyone. 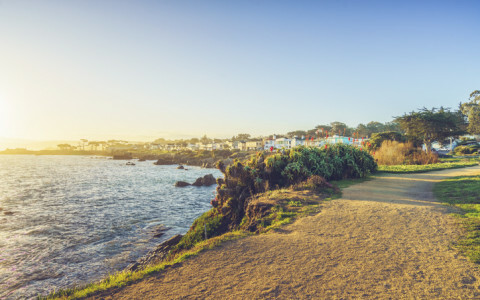 Take in the breathtaking sights while walking along the coastline of Monterey Bay. Housed in the renovated fishing shacks and cannery buildings of Monterey Bay’s fishing industry, the architecture creates a mystique that is felt on the vibrant streets. The shops sell a variety of luxury goodies like chocolates, high-end clothing, antiques, and souvenirs. While the restaurants feature everything from ice cream to farm-to-table dinning to wine tasting rooms. We are one of California’s premier wine-producing region, and our first class wine tasting rooms are just steps from our hotel. Each person will have a unique experience at Cannery Row, we challenge you to have the finest. Monterey’s coastline has an abundance of natural geography. While you are appreciating the majestic views from one of our many verandas, consider visiting the Monterey Bay Aquarium. Monterey Bay Aquarium was founded in 1984 and continues to be a leader in the awareness of ocean conservation, seafood depletion, and human rights in the global seafood chain. It’s visited by more than two million people a year and that number is growing. If there is one sightseeing adventure your must add to your list, this is it. Visit the nonprofit public aquarium for a stunning example of education meets aquaculture preservation. The largest exhibition in the aquarium is a 1,200,000 gallon Open Sea exhibit where observers can see ocean sunfish, stingrays, sea otters, jellyfish, and more. It’s one of the only aquariums in the world to house both bluefin and yellow fin tuna. Next check out the centerpiece exhibition, which is an impressive 28-foot-high, 333,000 gallon tank dedicated solely to California coastal marine life. It is the first aquarium in the world to grow a living giant kelp forest. Eighty species of seaweeds grow in the exhibition, and visitors stand in awe while enjoying the dramatic view. Julia Packared, the Executive Director and Vice Chair, continues to foster an environment of continued growth and symbiosis with ocean conservation and global solutions to aquaculture problems. Carve out an afternoon or an early morning and head to his world-class establishment to expand your knowledge and compassion for the ocean. Executive Chef James Waller has been charting new and innovative courses through contemporary flavors with us since 1997. 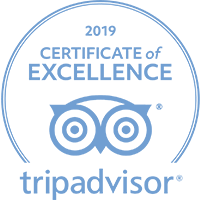 Receiving prestigious awards and accolades such as as the American Academy of Hospitality Sciences' Five-Star Diamond Award, Wine Spectator Award of Excellence and the AAA Four-Diamond Restaurant Award, he sources only the freshest and most sustainable seafood for our menu. 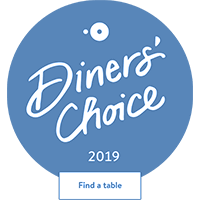 The result is a decadent selection of dishes that aligns with the Monterey Bay Aquarium’s sustainable Seafood Watch Guide. Chef Waller’s cuisine is fit for he highest political dignitaries as he has served an elaborate list of American presidents including Richard Nixon, Gerald Ford, George H.W. Bush, Henry Kissinger, and Bill Clinton. Enjoy magnificent views from our nautical themed Schooner’s Coastal Kitchen & Bar, which provides guests with an elevated experience of dinning sophistication and earth-conscious sustainability. Built on pillars above the water, feast on a selection of raw or cooked seafood, local soups and salads, small plates, and wood-fired dishes, while keeping an eye on the coastline for whales and frolicking seals. The next time you visit our luxurious Monterey Bay hotel – indulge in a little spa time – we insist! Unwind at Vista Blue, our state-of-the-art, full-service spa. 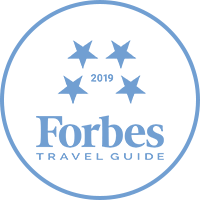 Named one of Travel & Leisure’s Top 25 Spas, and for three years in a row, one of Conde Nast’s Top 75 Hotel Spas in North America, Vista Blue will not disappoint! Nestled on the roof of our four-star hotel, enjoy stunning panoramic views of the Pacific Ocean and the Monterey Bay from the comfort of our courtyard. Choose from an extensive list of treatments ranging from classic massages and facials to our signature sea salt body scrubs, guaranteed to rejuvenate the body and revive the senses. Make a day of your Vista Blue Spa experience and enjoy the outdoor sun deck, complete with cozy fireplace. It’s the perfect place to enjoy a light lunch before or after your treatments. Or schedule an al fresco soak in one of our bay view whirlpool tubs. Indulging has never been easier! For spa reservations, please call 831-646-1700 or 800-334-3999 - or visit us online here.